Bob Dylan’s legendary career, brimming as it is with enough unreleased tracks to make ordinary songwriters blush, has often puzzled both fans and critics alike. At times, there appears to be no rhyme or reason to his decisions regarding which composition to release and which to leave languishing in the can. Famed by clandestine tracks such as “Blind Willie McTell,” “Lord, Protect My Child,” “Series of Dreams,” “Caribbean Wind” “Red River Shore” and countless others have gained notoriety not only because of their power and grace, but because of their exclusion from Dylan’s official releases. We may never know the true reasons that Dylan would discard such lyrical and musical gems, but we can retrieve the available remnants for analysis and enjoyment. One of these obscured classics from the Bob Dylan discography is the exquisite composition “Abandoned Love,” written and recorded in the midst of Dylan’s 1975 Desire sessions. The song would eventually be left off of the album, replaced by “Joey” and seemed destined to languish in the vaults until its appearance on the comprehensive 1985 collection Biograph. In the interim, George Harrison as well as the Everly Brothers would also make beautiful recordings of the song — though Harrison’s take was likewise unreleased. The song’s deep lyrical content balances on the crumbling precipice of a failing relationship and the impending decision of whether to stay. 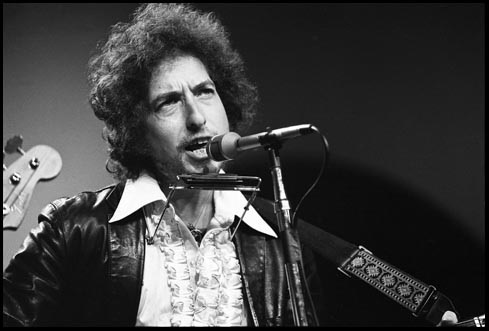 In Dylan’s case, the song focuses on the disillusion he felt regarding his failing marriage to his wife Sara. Dylan may have felt that he had covered these thematic emotional topics thoroughly on 1975’s Blood on the Tracks, hence the disappearance of “Abandoned Love” from its follow up. The magic of the song, however, is its ability to draw a sense of hopefulness out of the barren landscape of love lost. The song navigates deftly through a beautiful and positive melody, only slightly tinged by the apprehension of loss and the unknown. 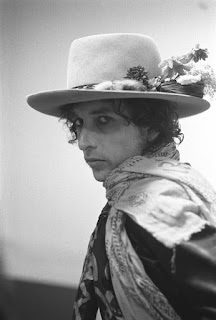 The unreleased studio version of “Abandoned Love,” recorded on July 31, 1975, contains the rustic hallmarks of Dylan’s Rolling Thunder Revue line up — especially the smooth velvet violin of Scarlett Rivera, which drizzles like warm honey over the top of the song — as well as Dylan’s jangling acoustic guitar and lonesome, train-whistle harp. The cinematic atmosphere initiated by Dylan’s words is enhanced by the long drawn out vocal melodies that benefit from Bob Dylan’s towering 1974-75 gymnastics on the mic. The emotional content of “Abandoned Love” is a swirling maelstrom of contrasts drawn between the inspired melody, the nervous and conflicted lyrics, and painfully beautiful vocal attack. The aforementioned studio version is a tremendous band performance that eventually would end up collecting dust until ten years of time had passed. 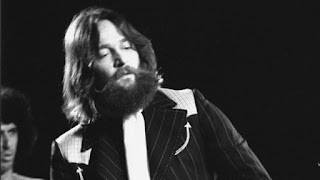 All of the factors that make the studio version of “Abandoned Love” so special are escalated when the only live version of the song is examined. Depending on whom you ask, this thankfully preserved moment in Dylan’s storied history might be one of his finest performing moments . Premiered four weeks prior to the aforementioned studio version while at the Bitter End (Other End) club in New York City, Dylan surprised the assembled hundred or so musicians and patrons with a one-time solo acoustic performance of this lost classic. The performance holds a freshness and confidence that is often found in the premier creative moments of a song's genesis. It is a rare dissemination that leaves Dylan's soul bare for all to see. On July 3, 1975 while attending a performance by Ramblin’ Jack Elliot at the club with some friends, Dylan decided spur of the moment to join in on stage for a few numbers. 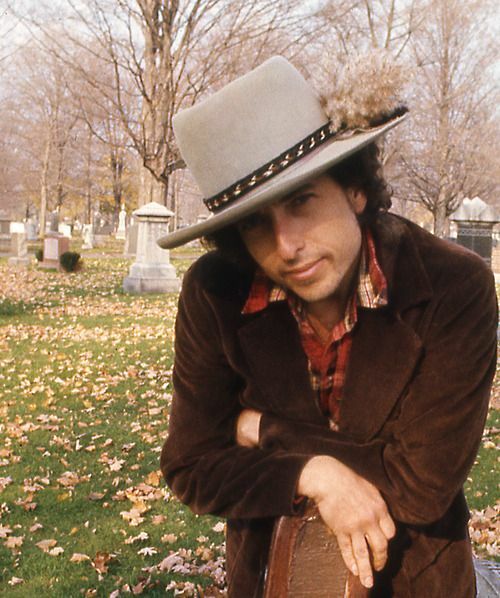 After joyusly accompanying Elliott on two songs, Dylan began strumming his acoustic in preparation for a debut of this new song to the unsuspecting crowd. According to witnesses, Ramblin’ Jack moved to the shadows and let Dylan blow the collective crowd’s mind with his newly created piece of art. After the unanticipated ans stunning performance, Dylan quietly returned to his seat at the back of the venue like nothing had happened. Thankfully, there was an enterprising fan in attendance with a hidden recorder capturing this moment for posterity. The version is fortunately available for all to hear and enjoy, and this embryonic reading of “Abandoned Love” as performed that evening is spellbinding, making the studio version pale in comparison due to its alchemical properties. Perhaps Dylan felt he could never capture the emotive content the song disseminated on this evening in a studio setting, hence the song’s quiet retreat to the vaults. Beginning on a pensive and probing acoustic melody search, a patient Dylan sings his way through the litany of images confidently. The crowd cheers and lends echoed asides to the new lyrics being birthed on the dimly lit stage. The song unfolds slowly, with every elastic syllable and every nuance of Dylan’s syncopated and lush melodic developments hanging weightless in the thick blue air of the club. His voice adds a gripping tension to the song, by pulling both affection and detachment from each line and every word. Dylan wants to “see her smile before he cuts her loose,” before finally concluding that he also needs to “see her love one more time before he abandons it.” Similar to a poet spotlighted at a private reading, Dylan's tempo and enunciation is as important as the words themselves. He navigates the fluid melody, pausing to take in the sights along his newly discovered route. 'Abandoned Love' is a study of the emotional contrasts and general disillusionment experienced during the painful conclusion of a relationship. Per his usual unparalleled lyrical expressions, Dylan flawlessly expresses the internal relationship between his head and his heart in poignant fashion, never revealing too much, but in reality holding back nothing. Dylan’s mastery as a songwriter is irrefutable; his ability to focus in on the human condition and decode its mysteries and complex aspects is what makes him the greatest lyricist of our time. What has been questioned is his ability to wade through his plethora of compositions while successfully picking the best candidates for release. Dylan sifts through the melodic gravel and grit, revealing the translucent pieces of musical gold, but often leaves them sitting in the pan until another day. The collection Tell Tale Signs covering 1989-2006 is proof that this long-standing practice continues up through recent times. “Abandoned Love” is one of these numerous, historic, resplendent stones — lost in the pebbled wash, languishing in the vaults, banished to obscurity, only to reappear years later, eager to establish its own musical legacy.